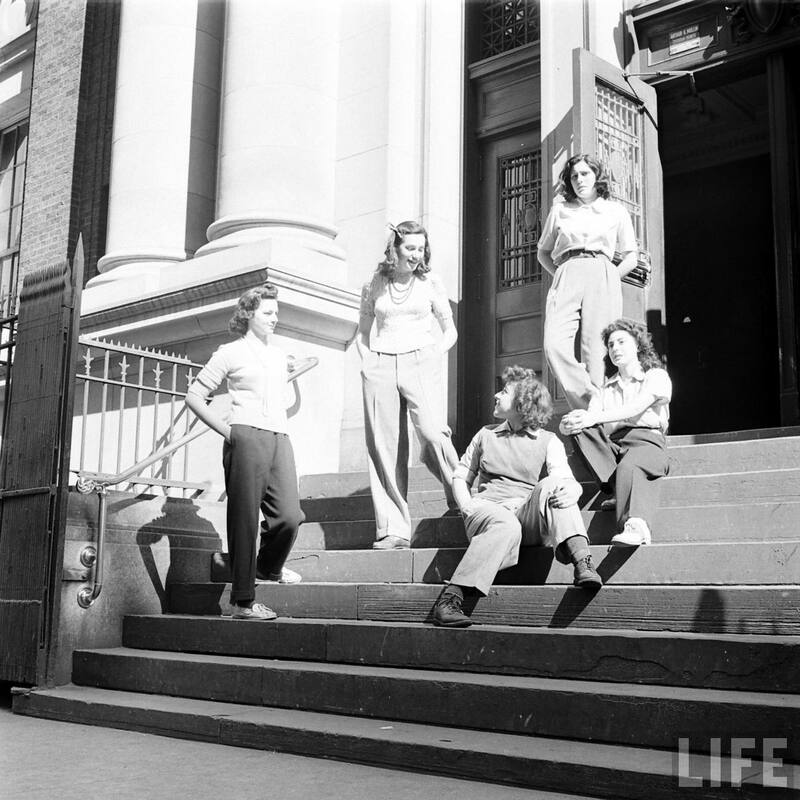 During World War II, women working in industrial work in war service wore their husbands’ trousers, and in the post-war era trousers were still common casual wear for gardening, socialising, and other leisure pursuits. 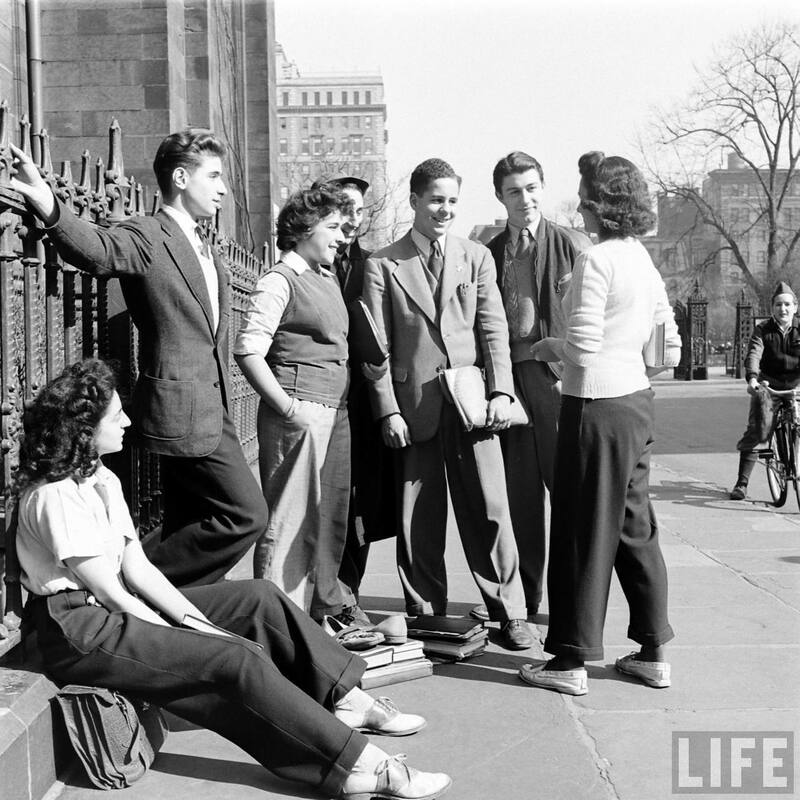 Similarly, in Britain during the Second World War, because of the rationing of clothing, many women took to wearing their husbands’ civilian clothes to work while their husbands were away in the armed forces. This was partly because they were seen as work garments, and partly to allow women to keep their clothing allowance for other uses. 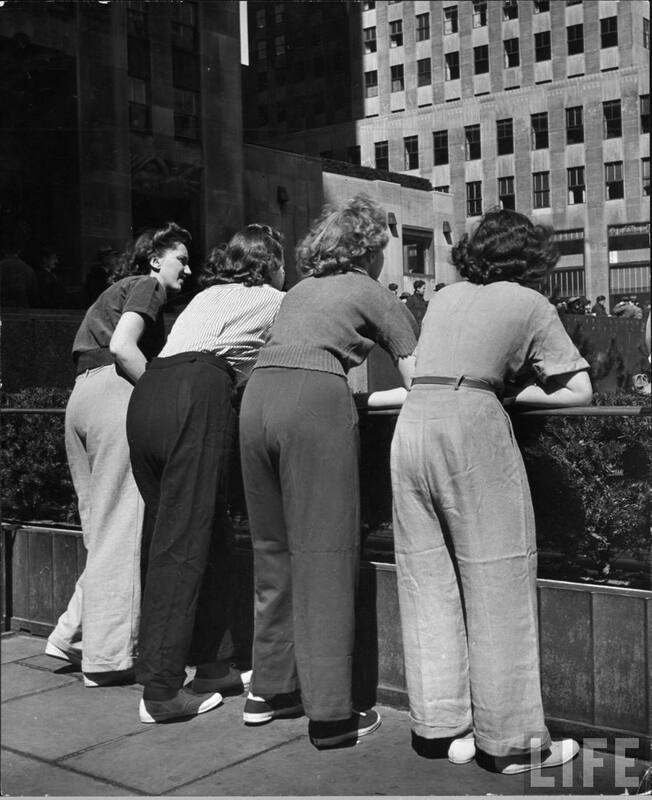 As the men’s clothes wore out, replacements were needed, so that by the summer of 1944 it was reported that sales of women’s trousers were five times more than in the previous year. 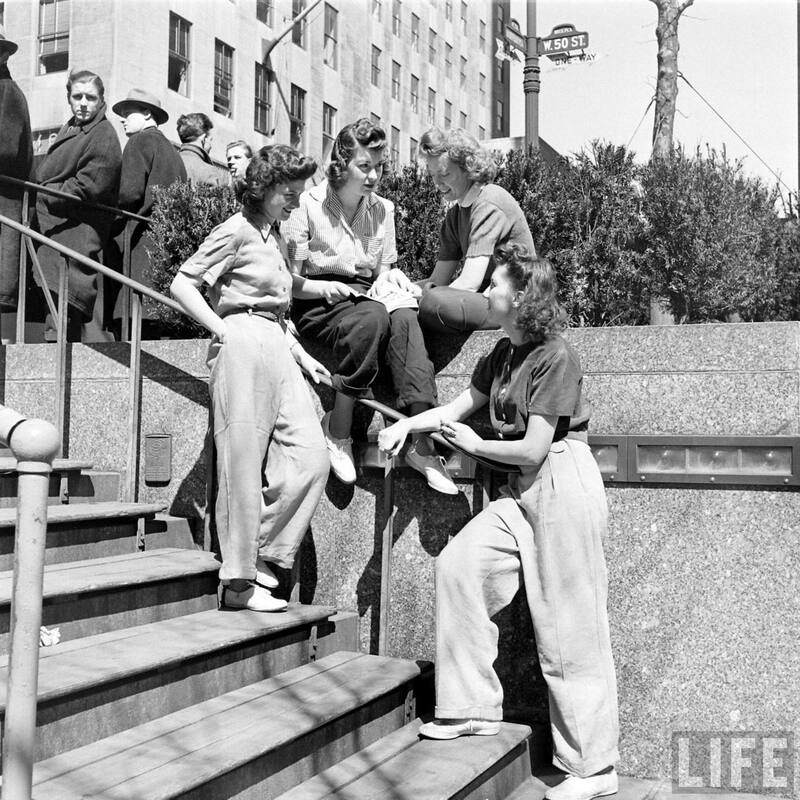 High school girls on their way to school, office workers in first-aid classes, city women shopping, factory girls, all of them are now wearing slacks. That being said, all the pants seen here in these images all conform to the WPB regulations on women’s wear apparel (no cuffs, no belt, low or no heels etc). 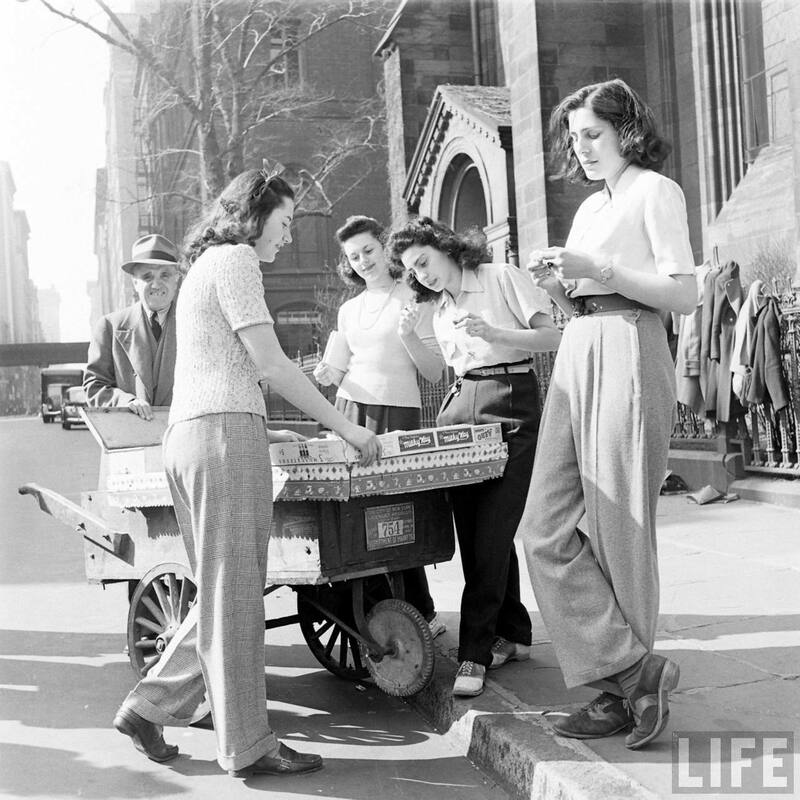 While slacks have been highly fashionable since Hollywood stars like Marlene Dietrich, Carole Lombard and Katherine Hepburn donned them in the early 1930s, never before has there been such a plethora of non skirt wearing women!